Next on The Scoop: Ask a Cat Lady: How Do I Give Pills to My Cat? 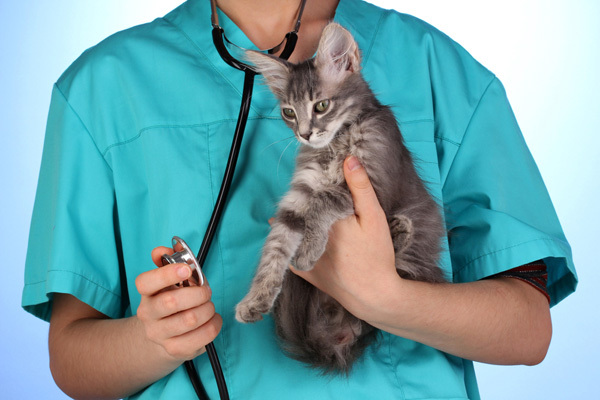 Can Vaccines Cause Cat Cancer? Worried about your cat developing a sarcoma from her annual shots? Here's the latest science. In 1991, the world of veterinary medicine was stunned by a terrible discovery: Vaccines seemed to be causing cancers in cats. The cancers, called sarcomas (or more specifically fibrosarcomas), developed at the site of injection. The veterinary community jumped all over this information right away (please forgive my sarcasm), and formed a task force in 1998 to study the phenomenon of vaccine-associated sarcoma (VAS). Experts first thought that rabies and feline leukemia vaccines — two of the three most commonly used vaccines — were the culprits. The third, the FVRCP, appeared to be exonerated (more on that below). Some experts believed that adjuvants, the compounds added to vaccines to increase immune system response, might be responsible. There is no doubt that feline vaccinations save lives, and the cancers are rare. But the every-shot-for-every-cat-every-year attitude that prevailed until the late ’90s has gradually given way to a more nuanced approach. Once a cat is done with its kitten and young adult vaccines, most vets recommend shots every three years — or fewer. Over time, we have learned more about vaccines and sarcomas. And perhaps the most critical thingis that it’s not just vaccines that cause sarcomas. In fact, the term VAS has fallen out of favor and has been replaced with the broader injection-site sarcoma (IJS). A paper in the September 1, 2012 Journal of the American Veterinary Medical Association (JAVMA) discussed some of the most recent information available. Cat owners should take note that the paper was coauthored by Dr. Philip Kaas, a pioneer in their discovery and one of the earliest advocates for changing vaccination protocols. He took no small amount of flak from the veterinary establishment for his positions on the subject (during veterinary school, I and a group of students watched in horror as Neils Peterson, posibly the most famous feline infectious disease expert on earth, tore into him). Dr. Kaas is now very highly respected. If you own and love cats, you should consider him a hero. The entire paper is very interesting, although parts of it are quite techincal. Here are some of the more salient points. 1. The FVRCP has also been implicated in causing sarcomas. 3. Other triggers for sarcoma development at injection sites includesterile saline — which should be completely inert — as well as microchip implantation, penicillin, a commonly used steroid, and even a retained surgical sponge in one cat’s abdomen. I have a hunch that some activists will jump on the inclusion of microchips on the list above, so let’s discuss relative risks. (Anti-microchip activists usually are opposed primarily to the microchipping of humans, and frankly I don’t blame them for that — who wants the government tracking us, especially when it’s already so easy to do with cellphones?) Feline microchips aren’t placed so that Big Brother can track cats’ every move. Feline microchips are placed so that lost cats can be returned to their owners. I have never seen a microchip cause a sarcoma, but I have returned dozens of lost cats to their loved ones because of microchips. The take-home message is that all injections and bodily insults may have the potential to cause sarcomas in cats. What this means for cat owners is simple. Always ask your vet about sarcomas before any injections or surgical procedures on your pet. 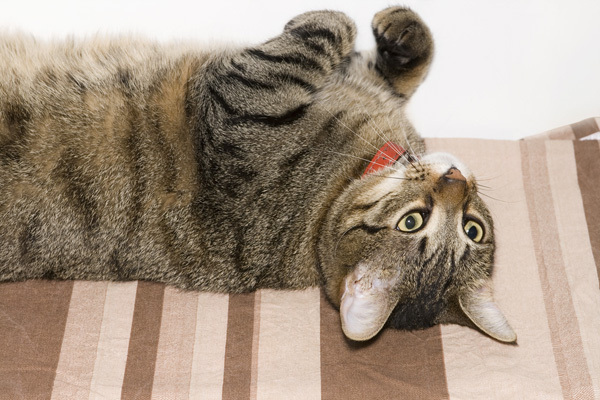 Discuss the specific risks and benefits for your cat. And remember that although sarcomas are worth thinking and talking about, they are rare. Don’t lose perspective. The paper offered what I consider to be a fourth major point: A certain class of vaccinations called recombinant vaccines appears, tentatively, to be less frequently implicated in sarcoma formation. The paper’s authors fell all over themselves to say that this finding is not conclusive and that more research is needed. Nonetheless, you may want to discuss recombinant vaccines with your vet before your cat’s next round of shots (and discuss whether the next round of shots is truly necessary at all). 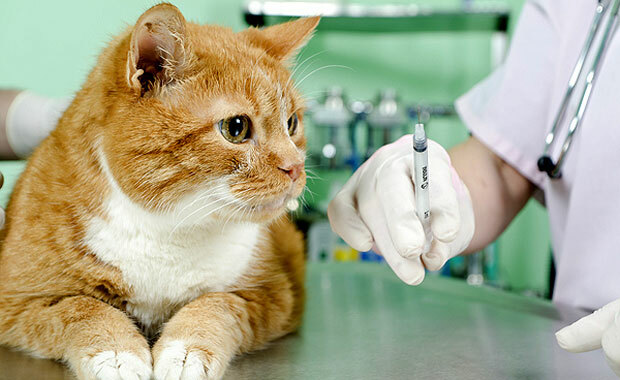 The paper discussed in this post is Srivastav, et al, Comparative vaccine-specific and other injectable-specific risks of injection-site sarcomas in cats, J Am Vet Med Assoc 2012;241:595-602.